When you face your pagan enemy, call them—either to Islam, jizya, or seek Allah’s help and fight them. Even if they do not fight [or initiate hostilities], fight them!… Fight them! When? When they fight you? No, when they refuse to convert to Islam or refuse to pay jizya…. Whether they like it or not, we will subjugate them to Allah’s authority. So what exactly is jizya? Some of Islam’s jurists mandated a number of other humiliating rituals at the time of jizya payment, including that the presiding Muslim official slap, choke, and in some cases pull the beard of the paying dhimmi, who might even be required to approach the official on all fours, in bestial fashion. Past and increasingly present, Muslims profited immensely by exacting jizya from conquered peoples. 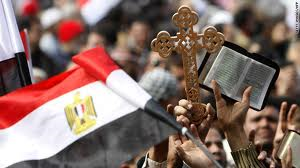 Little wonder Egypt went from being almost entirely Christian in the seventh century to today having a mere 10%—and steadily dwindling, thanks to ongoing persecution—Christian minority. According to their doctrine [Islam], whatever is stolen or plundered from others of a different faith, is properly taken, and the theft is no crime; whilst those who suffer death or injury by the hands of Christians [during the course of a plunder-driven raid], are considered as martyrs…. These principles are common to all Saracens [Muslims]. If only we can conduct a jihadist invasion at least once a year or if possible twice or three times, then many people on earth would become Muslims. And if anyone prevents our dawa [invitation to conversion] or stands in our way, then we must kill or take them as hostage and confiscate their wealth, women and children. Such battles will fill the pockets of the Mujahid [holy warrior] who can return home with 3 or 4 slaves, 3 or 4 women and 3 or 4 children. This can be a profitable business if you multiply each head by 300 or 400 dirham. This can be like financial shelter whereby a jihadist, in time of financial need, can always sell one of these heads. So it was for well over a millennium: Muslim rulers and mobs extorted money from “infidels” under their sway as a legitimate way to profit. Much of this financial fleecing came to an end thanks to direct European intervention. Beginning in the mid-nineteenth century, one Muslim region after another abolished the jizya and gave non-Muslims unprecedented rights—originally to appease Western powers, later in emulation of Western governance. The Ottoman Empire’s Hatt-i Humayun decree of 1856 abolished the jizya in many Ottoman-ruled territories. Elsewhere in the Muslim world, the jizya was gradually abolished wherever Western powers were present. Today, however, as Muslims reclaim their Islamic heritage—often to the approval and encouragement of a West, now under the spell of “multiculturalism”—jizya, whether institutionalized as under the Islamic State, or as a rationale to plunder infidels, is back. Yet if Muslims—from Islamic State jihadis to Egyptian university professors—know the truth about jizya, the West is today oblivious, thanks to its leading authorities on Islam: Western academics and other “experts” and talking heads. Despite the almost gushing tone related to Muslim rule, the idea that jizya was extracted in order to buy “Muslim protection from outside aggression” is an outright lie. Equally false is Esposito’s assertion that jizya was paid to “exempt them [non-Muslims] from military service”—as if conquering Muslims would even want or allow their conquered “infidel” subjects to fight alongside them in the name of jihad (holy war against infidels) without first converting to Islam. 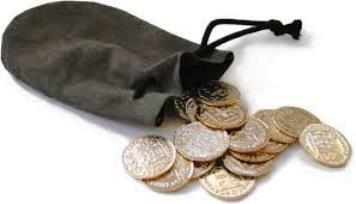 In reality and as demonstrated above via the words of a variety of authoritative Muslims, past and present, jizya was, and is indeed, protection money—though protection, not from outsiders, as Esposito and others claim, but from surrounding Muslims themselves. Whether it is the first caliphate from over a millennium ago or whether it is the newest caliphate, the Islamic State, Muslim overlords continue to deem the lives of their “infidel” subjects forfeit unless they purchase it, ransom it with money. Put differently, the subjugated infidel is a beast to be milked “until it gives no more milk and until it milks blood,” to quote the memorable words of an early caliph. There is nothing humane, reasonable, or admirable about demands for jizya from conquered non-Muslim minorities, as the academics claim. Jizya is simply extortion money. Its purpose has always been to provide non-Muslims with protection from Muslims: pay up, or else convert to Islam, or else die. And it is commanded in both the Koran and Hadith, the twin pillars of Islam. In short, jizya is yet another ugly fact of Islam—add to offensive jihad, imperialism, misogyny, slavery, etc.—one that, distort as they may, the academics cannot whitewash away, even as the world stands idly by watching its resumption in the twenty-first century. Note: Most quotations not hyperlinked are sourced from Crucified Again: Exposing Islam’s New War on Christians. Full references can be found there. 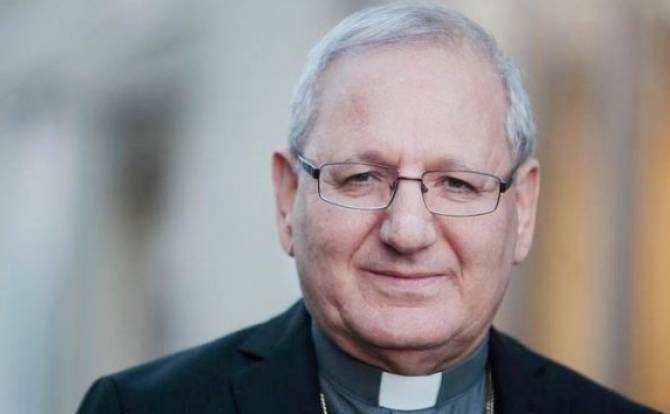 (Agenzia Fides) – Bishop Georges Abou Khazen OFM, Apostolic Vicar of Aleppo for the Catholics of the Latin rite, considered the rumor spread from London by the Syrian Observatory for Human Rights and relaunched by the British media “unreliable and unverifiable” with regards to a jihadist militia affiliated to the Islamic state (IS) who apparently was beheaded “for revenge” by an Assyrian Christian soldier, after being taken prisoner in the northeastern Syrian province of Jazira. According to the London-based organization, the Christian soldier captured the jihadist fighter in Tal Shamiram, one of the villages in the Khabur valley, recently abandoned by the militias of the Islamic State after an occupation which lasted more than three months and has returned under the control of the Kurdish and Assyrian military formations. Once the Assyrian soldier found out that the prisoner belonged to jihadi militias, it seems that the soldier beheaded him “for revenge because of the abuses committed by the group in the region”. The incident is presented in general terms, without specifying details or without mentioning names. “The manipulation of information” highlighted Bishop Abou Khazen “is also one of the means used to multiply the violence and horrors of this conflict. We know that more than 230 Assyrian Christians abducted in the villages of Khabur are still held hostage by jihadists”, said the Bishop. Only a reckless person could have done something like that, when others are in danger, and everything can be used as a pretext to justify retaliation. And above all, added the Apostolic Vicar of Aleppo “we Christians do not justify any revenge or violence with religious issues. The only revenge we know is forgiveness, in order to also be a sign of light for all. Vendettas only deepen the wounds, and lengthen the spiral of hatred”. Bishop Abou Khazen confirms that “this feeling is in all Christians, especially in the simplest, who live suffering like lambs among wolves: they are the first to say that the vicious circle of violence and revenge must be interrupted by someone, and this is the only way not to succumb and open paths to reconciliation”. We were very pleased with our visit to you from 12th -24th May. It has taught us a lot. You are always in our prayers. We thank God. Meeting you in Teheran and in Urmia filled our hearts with joy and gratitude for your faith, steadfastness, hope, love and for keeping your Christian values and traditions including our Chaldean language. Thank you. We thank God for the peace and stability that your are enjoying in your beloved country Iran, and we thank the government and religious authority whom we met, we thank them for their kind reception and positive dialogue. Remember that you are descendants of martyrs and saints. In the cathedral of Urmia there are the remains of 4000 martyrs killed in 1918. They are a blessing and a force for you. St. Paul says in his Epistle to Romans, and to you today: “If the first fruits are holy, so is the whole batch of dough; and if the root is holy, so are the branches” (Romans11, 16). Blessed are you! We invite you also to be attached to your country; you are Iranians and not a foreign community descended from another planet. You were there before the arrival of Islam, Christians were the majority, and your church was called the Church of Persia, and today you are a minority, but we felt that everyone is respecting you. Though you are a small community in number, you are as strong as the early church. We are confident that you will grow. Strength is in quality and not in number. You are the light, the salt and the yeast. Your future is a daily act of faith. Do not be afraid as Jesus repeats in the Gospel. Dear ones, Let the grace and peace fill your hearts along with the blessings of the Lord. A court in Minya upheld the appeal filed by the defense of the four teenagers who were in detention for more than 40 days on charges of insulting Islam. The incident happened in a school in the village of Nasiriyya, near the town of Beni Mazar, in the Egyptian province of Minya. The four were arrested for having appeared in a video for a few seconds, in which they mimed the scene of the slaughter of a faithful Muslim in prayer, in imitation of the horrific executions committed by jihadists of the Islamic State (IS). The brief video, which represented in its own way an indictment against the atrocities committed by jihadists of the Islamic State, had incredibly sparked anger and false accusations of Islamist elements in the area, which forced local authorities to take action to restore calm, convening on 17 April, a meeting of “reconciliation” between Christians and Muslims, with the participation of imams and priests in the area. Three attacks in 10 days after terrorists lose territory in northeast. (Morning Star News) – Islamic extremist attacks in Nigeria’s Adamawa state in the past 10 days have killed at least 29 people after weeks of Boko Haram rebels losing ground to government forces in the northeast, sources said. Maina Ularamu, council chairman of the Madagali LGA, confirmed the 10 hacking deaths in a statement to journalists on Monday (May 25), saying reports had reached him only that day due to insecurity in the area and communications difficulties caused by Boko Haram. Boko Haram was suspected in a suicide bombing of the Christian community of Garkida, Gombi LGA in Adamawa state, on May 19 that killed nine people and a shooting attack on May 16 in Wagga, Madagali LGA, that took the lives of 10 Christians, sources said. The violence was seen as a gesture by Boko Haram to reclaim territory lost to the Nigerian military. Church leaders in the Garkida area confirmed reports of a Boko Haram suicide bombing at the town market on May 19 at about 2 p.m. Lami Aboki of the EYN Church in Garkida told Morning Star News the attack has deeply unsettled Christians. She said the bomb exploded where vegetable sellers, most of them Christians, were stationed. “It was at this particular spot that the bomb exploded,” she told Morning Star News. Jerry Kundisi, a Christian legislator from the area, said information from townspeople also indicated that nine persons were killed. Kundisi, an EYN member, said the area is still dangerous in spite of military claims of pushing out Boko Haram. In Wagga town, Madagali LGA, Boko Haram insurgents invaded on May 16 and killed 10 members of the EYN, church leaders said. Area Christian resident Timothy Wagra told Morning Star News that the Boko Haram members attacked at about midnight while the villagers were sleeping. “The Boko Haram gunmen started shooting sporadically, and at the end of the attack, 10 Christians were killed in the town,” he said, adding that many others were displaced by the attack. Maina Ularamu, council chairman of the Madagali Local Council, confirmed the attack in a press statement, saying “at least 10” people were killed. The Adamawa State Police Command confirmed both attacks in separate statements. Command spokesman Othman Abubakar said police were investigating. EYN President Dali stated at the EYN annual congress earlier this month that since Boko Haram accelerated violence in 2009 in its bid to impose Islamic law (sharia) on Nigeria, the denomination has lost 1,390 local church branches out of a total of 2,280. “In all 1,674 worship centers were completely destroyed,” he said. 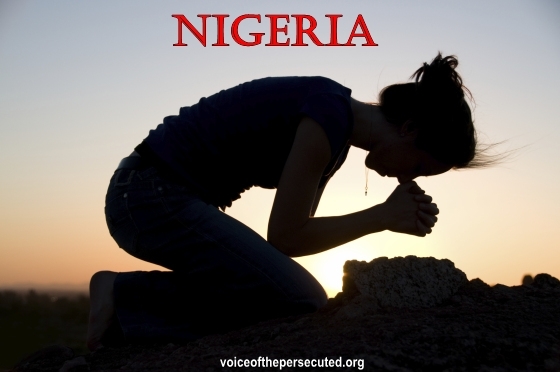 He reported that Boko Haram violence had displaced well over 700,000 EYN members. Dali said that because of the Nigerian government’s refusal to assist the denomination and its membership, EYN had established a Disaster Management Team to minister to suffering members. “The EYN church leadership has taken her destiny in its hands to forge ahead to reposition, rebuild, and transform the church for the future while providing leadership on the path of its vision, infusing confidence engendered by unshaken belief and faith in the work encouraging the congregation,” Dali said. The church council resolved to construct rescue centers, called Brethren villages, in Nasarawa and Taraba states to resettle displaced church members. The council plans to include schools and hospitals at the centers. In spite of the agony church members have been facing in Nigeria, the EYN leadership said its churches will continue to uphold peace among its basic principles. “The peace heritage of the church is still the only way consistent with the gospel that we uphold,” Dali said. EYN leaders urged the Nigerian government to sustain the fight against terrorism and insurgency, “ensure the rescue of the abducted Chibok girls as well as other abducted citizens,” and release funds meant for the support of victims of terror attacks for their safe resettlement. The depletion of EYN pastors by Boko Haram terrorists has forced the church leadership to recruit and ordain new church leaders, the Rev. Daniel Mbaya of the EYN told Morning Star News. While Boko Haram (translated as “Western education is a sin”) is the moniker residents of Maiduguri, Borno state gave the insurgents, the group calls itself the Jama’atu Ahlis Sunna Lidda’awati wal–Jihad, translated as “The Congregation of the People of Tradition for Proselytism and Jihad.” It has ties to Al Qaeda, and the United States designated it as a Foreign Terrorist Organization in November 2013. Everyday, we thank God that He is working through you to care for His children and further His Kingdom! As you have greatly blessed others, may God continue to bless you. Thank you so much for your support. We couldn’t do it without you! A U.S. Marine has been convicted at a court-martial for displaying a Bible verse. Now her case is being appealed to the military’s highest court. (Voice of the Persecuted) The Christian area of Sanda/Glushan Ravi, in the oldest area of Lahore was attacked by a violent mob on Sunday, May 24 following another case of alleged blasphemy. Police arrested a Christian man, Humayun Faisal Masih after local Muslims accused him of allegedly desecrating pages of the Quran and a violent mob gathered in the Christian community. A blasphemy case has been registered under Article 295-b of the Pakistani Penal Code. Before his arrest, the mob wanted to burn him alive, said residents. Some claim after the media shared alarming and exaggerated reports, Christian families fled their homes when alerted that a large mob was heading towards their community. Others claim a religious leader instigated the violence at a Mosque. The mob ransacked and looted several houses burning furniture and other household belongings. They set out to burn a local church, but were stopped by the police. Some of the culprits hurled stones at the officers, injuring six. A local priest claimed the accused, was burning a newspaper with holy verses. Villagers described Masih as mentally unstable and not understanding of the seriousness in the matter. Authorities claim that a large force of police have been deployed to the area to keep things under control. 1982, President Zia-ul-Haq introduced section 295B to the Pakistan Penal Code, which has a punishment of life in prison for “defiling the Quran”. 1984, President Zia ul-Haq introduced the Hudood (Punishment) Ordinances which “define crimes against Islam” and “enforce punishment for those who commit such crimes”. In hudood cases, the testimony of a non-Muslim is considered to be worth half that of a Muslim. 1986, Extremists pressured General Zia-ul-Haq to add 295-C for “use of derogatory remarks in respect of the Holy Prophet. A detrimental turning point for religious minorities. 1990, the Federal Shariat Court ruled that the penalty should be a mandatory death sentence, with no right to a reprieve or pardon. Known as the blasphemy law, section 295C of the Pakistan Penal Code 1860 states that any person who ‘by words, either spoken or written, or by visible representations, or by any imputation, innuendo, or insinuation, directly or indirectly’ defiles the name of the Prophet Mohammad or other holy personages, is liable for blasphemy. In addition to a fine, he shall be punished with the death sentence or life imprisonment. And that only a Muslim Judge may hear the case under this section of the law (Section 295-C). 1990, Promptly after the FSC’s ruling in 1990, Bishop Dani L. Tasleem filed an appeal in the Supreme Court of Pakistan, which has the power to overrule the FSC. In April 2009, the Shariat Appellate Bench of the Supreme Court considered the appeal. Deputy Attorney-General Agha Tariq Mehmood, who represented the federal government, said that the Shariat Appellate Bench dismissed the appeal because the appellant did not pursue it. The appellant did not present any argument on the appeal because the appellant, according to reports, was no longer alive. 2010, Salman Taseer, then governor of Punjab, said Pakistan’s blasphemy laws were being misused to persecute religious minorities. He also called for the release of Asia Bibi, a Pakistani Christian woman who he claimed was wrongly convicted and sentenced to death for violating the blasphemy laws. Pakistani President Asif Ali Zardari and senior government officials indicated Bibi would be pardoned if the courts rejected her appeal. Another government official announced plans for a committee to consider changes to the blasphemy laws. 2011, On January 4, a security guard killed Taseer with more than 20 bullets in broad daylight at an upscale Islamabad shopping plaza. Pakistan’s religious right hailed the killer as a hero. Religious leaders demanded the government promise not to change the blasphemy laws. Prime Minister of Pakistan Yousuf Raza Gilani once again said that there would be no amendments to the blasphemy law. Those accused endure persecution in the form of harassment, threats, attacks, death contracts and assassination attempts. Scores have been murdered. Most accused of blasphemy are often arrested immediately, denied bail and placed in solitary confinement for their protection from other inmates and guards. Authorities justify this treatment to prevent mob violence. Often, arrests are made without evidence to confirm the accusations. In cases of blasphemy, police, lawyers, and judges may also be pressured or threatened, making it harder or next to impossible for the accused to have a fair trial. Many are killed before their respective trials. Those who are acquitted of blasphemy usually go into hiding or leave Pakistan, due to the threat of being assassinated by extremists. Bishop John Joseph, was a Roman Catholic Bishop of Faisalabad known by Pakistani Christians as a fearless defender of the faith. He claimed the blasphemy laws were not only misused to make life unbearable for Christians, but directly responsible for dividing the Christian and Muslim citizens instigating discrimination, mistrust and hatred. In 1998, he shot himself as desperate effort that he hoped would finally end the atrocities being committed against the Christian community. It’s been nearly 20 years since the Bishop’s death, but injustice has continued. Radicalization has caused a chasm between the faiths to widen. 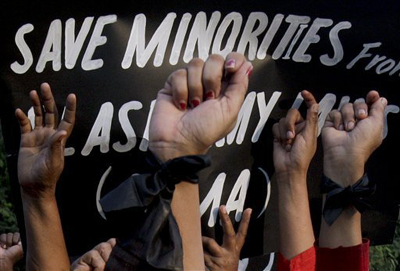 Today, religious minorities are more endangered by the blasphemy law than they were in 1998. We have heard Pakistani Christians and Muslims say that they no longer recognize their own country and greatly fear for the country’s future. Deplorably, those who speak out against the abuses do so with great risk to their lives. Some have been murdered including prominent figures who opposed blasphemy laws such as Salman Taseer, the former governor of Punjab, and Shahbaz Bhatti, the Federal Minister for Minorities. This law clearly discriminates against religious minorities. It is frequently used unjustly to settle unrelated personal/political disputes, or for revenge. It also gives extremists cause to instigate violence and unleash terror, mainly with impunity. Innocents have been brutally murdered. Such is the case of a Christian man and his pregnant wife who were falsely accused of burning a Quran, last November. Incited by the blasphemy accusation, an enraged mob horrifically beat then burned the couple to death in a brick kiln oven. The international community expressed great shock and outrage upon hearing of the gruesome murder. VOP along with a multitude across the globe called on the Pakistani government for justice. Now, what is being called a step towards justice, over 100 people have been indicted for the murder. Three imams (religious leaders) of local mosques, the owner of the brick kiln and three other men, have been accused of inciting the mob. Unverified reports are claiming at least 40 people have been placed under arrest and 500 others charged in last Sunday’s mob violence. In the well-known case of Asia Bibi, mother of five, sentenced to death and sitting in a cell for 5 years, claims she too has been falsely accused of blasphemy. Following the infamous blasphemy case involving young Rimsha Masih, over 400 Christian families were forced to flee Mehrabad. Though the mentally-challenged girl was acquitted after it was found that a local cleric who accused the teenager of burning pages of the Koran, fabricated evidence to cause resentment against the Christians. The case against Rimsha was soon dropped. He was later acquitted when the prosecution ruled there was not sufficient evidence to convict the cleric. But producing the outcome the Imam sought in his scheme, the residents of her former neighborhood were terrorized and forced to leave. Rimsha and her family were eventually granted asylum in another country to protect their lives. 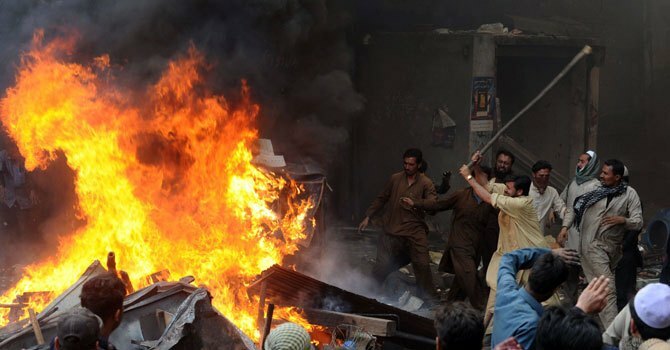 In early 2013, more than a hundred houses were burned down in the Christian neighborhood of Joseph colony in Lahore, after a Christian was accused of blasphemy. These are only a few of blasphemy charges brought against Christians, there are many others. Christians and other religious minorities in Pakistan have faced discrimination and persecution for too long. It is extremely stressful for them to live in constant fear of being attacked at any moment. Much change is needed pertaining to Pakistan’s Blasphemy law and equality for religious minorities. All citizens should be given legal representation, honest and full investigations of the charges, and fair trials. As we see in this new case and the attack it has brought on, those inciting violence, religious or otherwise, should be held accountable and brought to justice. A ‘No Tolerance’ policy with the promise of assured legal action and punishment should be immediately implemented. Religious leaders must do more to promote harmony between Pakistani citizens, no matter their faith. This may be the only way to stop further attacks on innocent minorities who want nothing more than to coexist with their Muslim neighbors and live in peace. The global community must speak out against this violence and abuse of human rights in Pakistan. We must call on the Pakistani government to protect minorities, repeal or amend this currently dangerous law. And for the immediate release of all those being held and imprisoned for blasphemy. We call on world governments to refrain from sending financial aid until Pakistan shows it is committed to protecting minorities. Please pray for Pakistan. Too many, including Christians are unaware of what’s happening to our Pakistani brothers and sisters. Stand with them, be their VOICE and do not be discouraged. In Christ, we can make a difference! Voice of the Persecuted is working to help and encourage extremely persecuted Christians living in Pakistan. They need our help to seek asylum for the protection of their lives and that of their families. Providing them a ‘safe place’, basic needs, emergency medical care and education for their children is extremely important. Converts and their families are often persecuted, which forces them underground with little means to care their families, they too need our love and understanding. 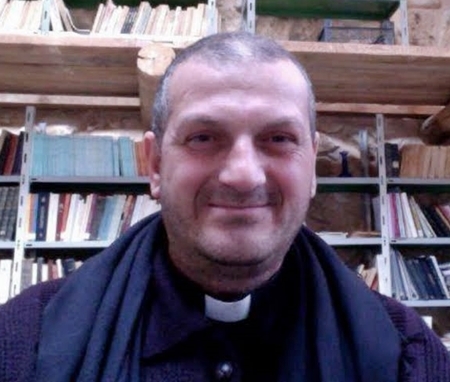 (Agenzia Fides) – Priest Jacques Murad[Mourad], Prior of the Monastery of Mar Elian, was abducted by two kidnappers at the Monastery under the threat of arms. According to some local sources, contacted by Agenzia Fides, the seizure most probably took place on Monday, May 18, while other sources claim that the priest was kidnapped on Thursday May, 21. The news was confirmed today by the Syrian Catholic Archdiocese of Homs, that asked all the faithful to invoke the Lord in prayer so that father Jacques is released and can return to his life of prayer, to serve his brothers and all Syrians. According to some local sources, it is believed that also deacon Boutros Hanna was kidnapped, too. 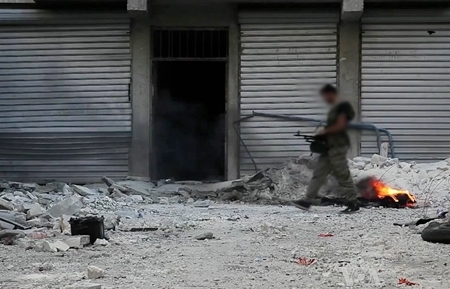 But this rumor has not been confirmed by the Syrian Catholic archdiocese of Homs. According to preliminary reports, the kidnapping was carried out by two armed men on motorbikes who arrived at the Monastery of Mar Elian. The abductors forced father Jacques to get in his car and, under the threat of weapons, forced him to go to an unknown destination. Local sources consulted by Fides speculate that behind the kidnapping there are Salafi groups in the area, who felt strengthened by the recent success of the jihadists of al-Nusra Front and the Islamic State in Syrian territory. Father Jacques Murad is the Prior of the Monastery of Mar Elian and pastor of the community in Qaryatayn, 60 km southeast of Homs. The monastic settlement, located on the outskirts of Quaryatayn, is a branch of the Monastery of Deir Mar Musa al-Habashi, refounded by the Italian Jesuit Fr. Paolo Dall’Oglio, who was also kidnapped on July 29, 2013 while he was in Raqqa, the Syrian capital for years under the control of the jihadist of the Islamic State. In the years of conflict, the city of Qaryatayn was repeatedly conquered by anti-Assad militias and bombed by the Syrian army. It was father Jacques, along with a Sunni lawyer, who acted as mediators to ensure that the urban center of 35 thousand inhabitants was spared for long periods by armed clashes. Please pray for his release and Christians in Syria.